I am just back from 5 weeks in Vietnam, where I always move in a distinctly Buddhist milieu, and where I was working on a book with a distinctly Buddhist theme. So it's not unusual that I should return with an intense interest in Buddhist books, and I have been working my way through a whole bundle. First up is a booklet I picked up from a huge pile at the Ngoc Hoang Pagoda (these days more commonly called Chua Phuoc Hai) in Saigon. This temple has undergone something of a revival since it was visited by president Obama, and so there are crowds there every day. I have always kind of liked the place. In the very last shrine room I discovered this book, a reflection on the benefits of chanting the Great Compassion Mantra and the Om Mani Padme Hum, written by a local nun called Thich Nu Le Phat. Despite being in Vietnamese (I read VERY slowly in Vietnamese) it is a remarkably simple and interesting read, and I kept it with me the entire time I travelled. I actually went to visit the Venerable Nun, but she had the temple locked the day I turned up, and it was made even more tantalising by the fact that I could hear her chanting the Om Mani Padme Hum. So I sat outside on the stairs and listed to her instead. I would love to see this book in English - it is such an interesting and personal reflection. Next we have a couple more books in Vietnamese, these ones specifically dealing with Quan The Am, more commonly known to English speakers as Kuan Yin, the Bodhisattva of Compassion. She is an immensely important figure in Vietnam's popular worship, and these books detail stories about her in a handy (easy to read!) comic-book format. I am also reading some comic books detailing the life of Sakyamuni Buddha, the historical Buddha. these are great for the language student because they have the text in Vietnamese and, immediately beneath, English. I am learning so much reading these, and also learning some interesting stories from the Buddha's life. Last year I visited Bhutan on a writer's tour with the wonderful Jan Cornall. While there we met a number of local writers, including Pema Gyaltshen, and she gave me a copy of her beautifully illustrated children's book Lamche Goes to Merak. It's a beautiful story with Bhutanese Buddhist themes. Further along the Kuan Yin theme, I have enjoyed reflecting on Alana Fairchild's meditations on Kuan Yin in her book Wisdom of Kuan Yin. 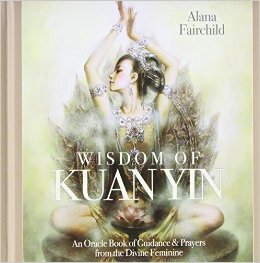 this divinely illustrated book accompanies her gorgeous Kuan Yin deck and her DVD and CD of Kuan Yin meditations. I love all of Alana's work, and she is the most blissful, beautiful soul you could hope to meet. There is very little writing from Australia on Buddhist themes, which is part of what makes Michele Seminara's collection of poetry Engraft so unique and interesting. I say only part, because in fact her poetry is filled with many other engaging themes, and hers is one of the richest and most unique voices in Australian poetry. For quiet and reflective reading, a delicious poem at a time. 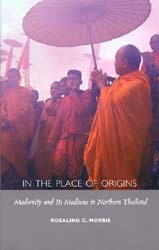 The good people at New Dawn Magazine sent me Rosalind C. Morris' fascinating academic study of popular religion in Northern Thailand, In the Place of Origins, some time ago. This is a very dense book, and difficult to sit down and read quickly. But it IS fascinating, and so much of what she is exploring and describing is unique in English. I hope to finish it very soon and produce a review, because I think it is an important book which deserves a wider audience. Shinmon Aoki's Coffinman was a complete surprise. 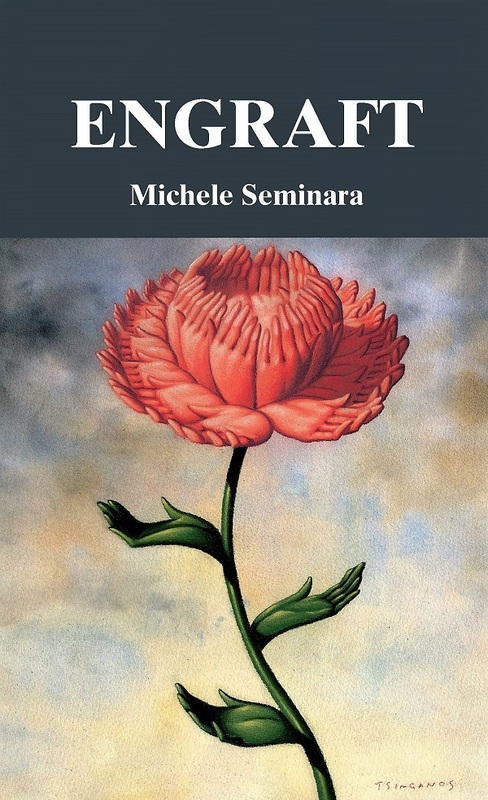 An incredibly engaging and readable spiritual autobiography by a mortician and Pure Land Buddhist practitioner who had once been a hip young poet. I recommend you run and get a copy of this book, because I loved every minute of it. Aoki's honest and deeply personal stories provoke responses because of our own fears of death. The marital and family discord which arise from his work all tell their own stories about how uncomfortable everyone is with the world of the dead. Given the number of monks there are in Vietnam, and the large amount of Buddhist publishing that goes on there, I am sad that there is not more translation of this very interesting work into English. I was delighted to discover this series of Buddhist essays by Thich Chan Quang, a monk living on the outskirts of Ho Chi Minh City who is a prolific writer and a great believer in the power of books. 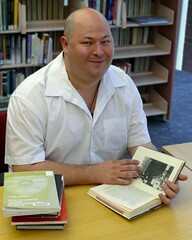 They are in Vietnamese and English, so a great contribution to the literature of Buddhism around the world. And finally, a lovely illustrated book by Vo Van Tuong called 108 Danh Lam Co Tu Vietnam (108 antique temples in Vietnam). This is a condensed version of a series of books which have been around for decades. A handsome hardcover in a slipcase, the text is in Vietnamese, English, French and Chinese. The photos haven't really been updated, so you will be shocked to see how much development has gone on in Vietnamese temples over the past twenty years or so. But this is a very handy book because it provides full addresses and telephone numbers of all of the most noteworthy temples in Vietnam. I actually have all of the older books, but I got this because it is condensed down to 108 temples, and I think to myself: "Hmmm, now that is a manageable project. Maybe a future book...." Why 108, I hear you ask? well, 108 is a significant number in Buddhism. Oh, and just a note - if you wanted to use the addresses, please take them from the Vietnamese-language section (they are all brief entries) - the "translated" addresses aren't very helpful.